Why the foot and it’s position is important in cycling. The position of the cyclist on the bicycle is determined by the contact points of the body with the bicycle: saddle, pedals, handlebar. 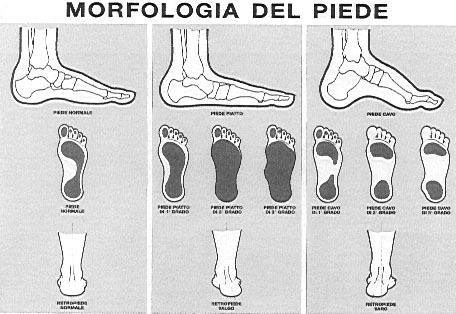 Therefore the position of the feet is one of the factors which determine the position of the body on the bicycle. Moreover, the foot, which is the limb that transmits the strength onto the pedals holds a notable importance in the push.The position of the cyclist on the bicycle is determined by the contact points of the body with the bicycle: saddle, pedals, handlebar. Therefore the position of the feet is one of the factors which determine the position of the body on the bicycle. Moreover, the foot, which is the limb that transmits the strength onto the pedals holds a notable importance in the push. Why are the arch supports important in cycling. by putting some thickness under the arch supports one is able to correct the asymmetrics needed for the different lengths of the legs and thus preventing the assumption of a symmetrical position in the saddle causing serious problems and muscular tensions. The consequences can jeopardize the harmonious execution suitable for the cyclist.